Wilson Built Homes was established in 2013 by Eric Wilson. Eric began learning about the building industry back in high school by laying tile and flooring. After years of experience, he began working as a superintendent for a large home builder in the area. In 2009 he started building on his own, and in 2013 he decided to use his expertise to open Wilson Built Homes. Whether we work on your existing home, sell you one of our pre-built homes, or build you a home from scratch, we want you to love your home. More than 15 years of experience in the building industry means we have the knowledge to make sure you love what we do. Attention to detail is always our priority. 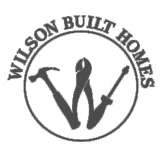 Wilson Built Homes is BBB accredited and has an A+ rating. At Wilson Built Homes, we attribute our success to our dedication to respect and honesty. We are firmly rooted in Christian values, and we stand behind our services by honoring our warranties. Eric and his wife were both born and raised here in the Big Country. The couple wants to raise their daughter in the community they love, so they support their fellow community members in any way they can. They are known for volunteering and for supporting local fundraisers. Additionally, they are involved in the Big Country Home Builders Association, the National Association of Home Builders (NAHB), and Professional Women in Building. Eric’s wife is also a mortgage loan officer, and can help with construction loans and other financing details. Copyright © 2019 Wilson Built Homes, LLC, all rights reserved.